Once you've applied, you'll be contacted by a member of our Channel Team to discuss the programs benefits and how it will help grow your business. Anyone who builds websites for others can apply to the program. PageCloud will prioritize beta-program enrollment for those creative professionals who have previously built on PageCloud. Will PageCloud send me clients? PageCloud will be creating a self-serve directory of Pros to assist customers with their website building needs. PageCloud Pros participating in the beta will be given priority for inbound leads and be among the first represented in the directory when launched. Absolutely not. There is no cost for beta participants. Working directly with Pros building on PageCloud provides an opportunity to better understand business needs. 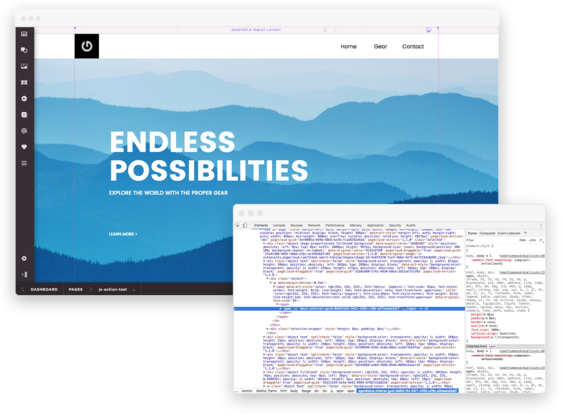 Feedback gathered in beta will drive program and product development to ensure PageCloud Pros have a competitive edge: faster production of distinctive websites for improved margins. How many sites do I need to build? To maintain enrollment in the beta program, you will need to build a minimum of three PageCloud websites inside of 90 days. Once the program goes live post-beta, you will need to create a minimum of one site per month. Build stunning websites for your clients. PageCloud Pros is a program (currently in Beta) that gives creative professionals addition tools and perks when building multiple sites for their clients. Your clients depend on you. PageCloud Pros receive priority support. No sign up fee. Create as many sites as you want. Only pay to publish. Get leads for simply building on the world's best platform. Experience new features before their public release. Many sites on the web look like they came from the same template. As a PageCloud Pro, you can differentiate yourself with unique, custom designs and creative powered by the speed of PageCloud's visual design builder. Focus on the things that make you special, whether it's creative, marketing strategy, or any other value-added services you wrap with your website design projects. It’s not uncommon for site build budgets to be consumed by the development process. With a website builder that's design-friendly, you can eliminate technical risk and time-consuming hand coding to reallocate budgets toward more value-added services and better margins. It’s important to maintain and nurture your customer relationships. This takes trust, care, and being responsive to their needs. With a visual builder that is easy to use, both you and your customers can make quick changes and not be burdened with complex, frustrating CMSs. PageCloud offers all the power of code without having to touch it. If you don't find something you're looking for, simply open your web inspector and modify it directly. 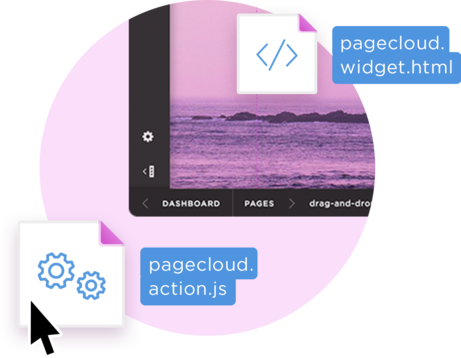 PageCloud is the only visual editor that allows Pros to add custom scripts, link external files, make AJAX calls, and program custom interactivity to bring your sites to life. Have a hand in the development of the tools you need to improve your margins. Rated the #1 website builder on Trustpilot and Capterra, trusted by happy customers in over 100 countries. Advanced features, such as teams and source code access, give you complete control to customize your customers' sites. Creative professionals that join PageCloud Pros gain access to perks that go above and beyond standard PageCloud accounts. With over 100 integrations, you can build beautiful sites that have great functionality, too. From restaurant reservations to ticket sales, embed forms, and more. Simply drag and drop or copy/paste URLs and widget codes onto your page. Interactive widgets are created automatically for the most popular web services. We’ve just launched PageCloud Pros and are excited to get you involved! Design and build sites for your customers using the best drag and drop builder on the market. You’ll be at the front of the line for new releases and will help inform our product roadmap. Get in on the ground floor as we build out PageCloud Pros.